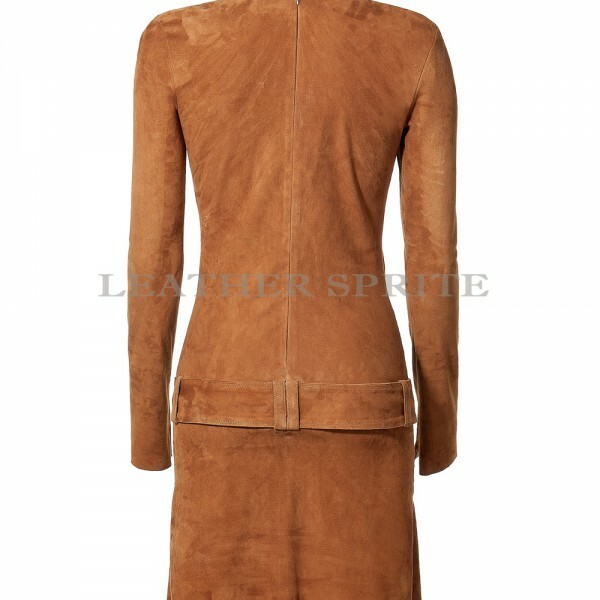 Get this cool style of suede leather dress with belted drop waist style. 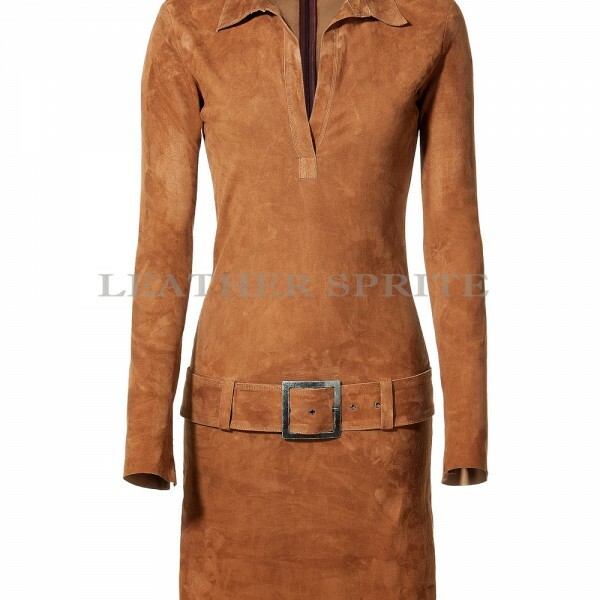 This leather dress is made from soft suede leather and Deep v neck line. It features the back zipper closure and long sleeves. The belted waist defines the drop waist style of the dress. Get this leather dress today and match it up with your fashion to make the style statement.